Why School ERP Software ? Once you start growing, it's really cumbersome to handle all activities of Students as well as Employees. 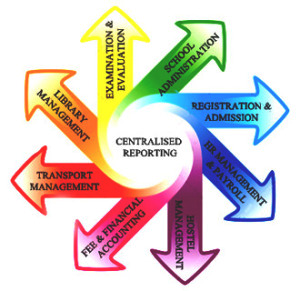 Here comes School ERP Software that will ease the process of each and every aspect of a School, be it Admission, Transport, Examination (CCE Enabled Comprehensively), Library, Robust Time Table, HR & Payroll etc.